Are you currently looking for a team of professionals with exceptional skills and expertise in parts reconditioning? Here at Perth Auto Wreckers, we have just that. We are immensely proud of our engine reconditioning experience, and are committed to providing excellence in all our services. This is particularly true in our expertise surrounding alternator starter motors. 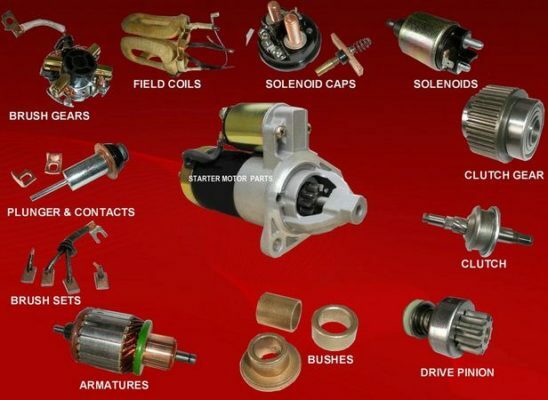 Our range of exchange alternators is to die for, and accommodates all the different makes and models. This includes Toyota, Mazda, Nissan, Honda, Holden, Suzuki, Subaru, Peugeot, Ford, Audi, Mitsubishi, Volkswagen and so forth. If you buy a brand new starter motor, or a brand new alternator, your bank can end up broken as a result. Save an average of fifty percent by having an existing one reconditioned. Here at Perth Auto Wreckers, we take units that are meant for cars of all walks of life and recondition them. We even have parts that can replace parts within a unit. This includes rectifier packs, solenoids, and alternator regulators. Buy the best quality starter motor at the most affordable price here at Perth Auto Wreckers. It doesn’t matter whether you are an expert looking to do the work yourself or whether you will have it done professionally, we are here to provide you with the most affordable and high quality solutions. Your vehicle’s electrical system has many components. The most integral one out of all of them is the alternator. This is due to the fact that it charges the battery, and does so while the engine is still running. If your alternator has any faults and needs repairing, we can do that for you. We install replacement alternators as well, along with diagnosing any problems and making repairs when needed. We are exceptionally skilled at working with a huge range of different kinds of alternators. You can see some warning signs yourself if you are worried. One such red flag is if your engine is difficult to start, and is making noise while being slow when it is being started. Another is when it makes clicking noises during the starting process, or just plain refuses to start at all. One way to avoid having problems in the future is to have regular check-ups done. So it is a good thing that we here at King Auto provide this service as well. We have the best prices, for a start. We strive to keep waiting times at an extreme minimum, and if you want you can come into our scrap yard in Perth and look at our range. Choose an alternator yourself and take it off our shelf! Provided you pay for it, of course. When it comes to the replacement of alternators, we are the quickest. So, if you need a replacement alternator, or you need one to be repaired, you would be wise to contact us! You will be glad you did.